During coming years upwards of half the jobs that exist today can be expected to either disappear or change significantly. The reason is that digitalisation and the rapid gains made in robotics are creating a massive shift in the labour market. Previously, automatization has mainly affected jobs in manufacturing, farming, mining and forestry. The rise of intelligent computer systems is today putting pressure also on skilled office-jobs. How can the labour market adapt to the disruptive changes brought on by new technology? Where are the jobs of the future to be found? How do societal shifts – such as increased global competition, urbanisation and increased specialisation – fit in with the shifts in technology? Answering these issues is a main challenge of the ECEPR. As lifespans grow, a larger portion of the population in Europe are made up of the elderly. 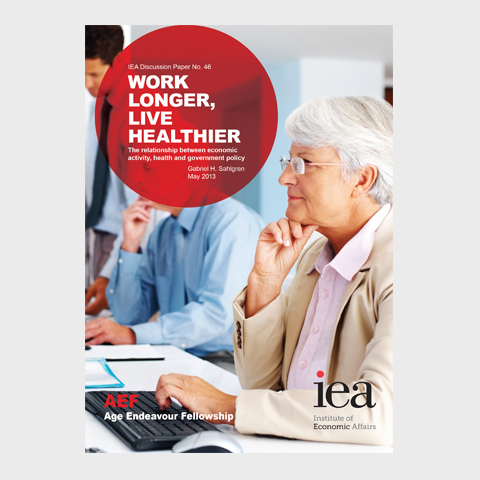 The age of retirement becomes a major issue from a labour market perspective. Should the elderly have incentives, and opportunities, to continue working? Or should they be encouraged, or even forced, to retire? In this study published by the Institute of Economic Affairs, Gabriel Heller Sahlgren finds that retirement has a detrimental impact on both mental and physical health over time. One of the most important global trends of our time is that women are making progress in education, politics and business. The Nordic countries are, in most regards, leading the world in promoting women’s success. There is however a fundamental lack of women who rise to managerial positions in the same countries, owing to the obstacles created by Nordic policies. 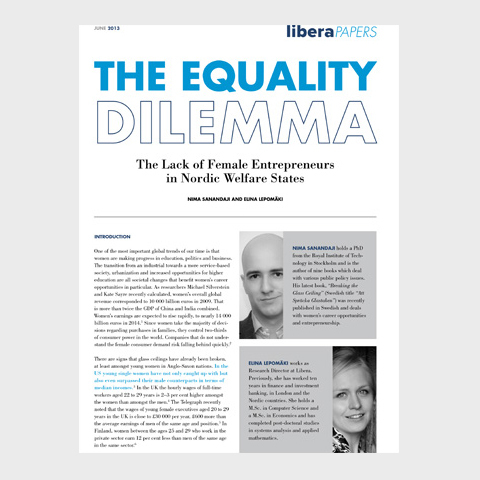 This paper, written by Nima Sanandaji and Elina Lepomäki and published in co-operation with Finnish Libera, discusses how public policy can impact on women’s career prospects.